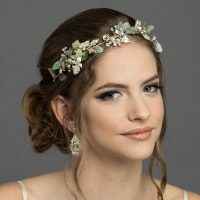 Bridal Classics offers a wide range of headpieces that are not only visually stunning but are also of the best quality on the market. 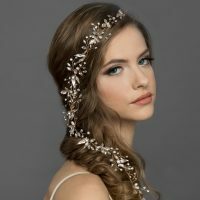 Our headpieces range in style from tiaras to headbands to combs that can accommodate a variety of hairstyles. 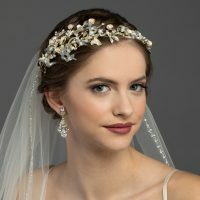 Rhinestones, crystals, pearls, ornate beads and other components are carefully incorporated into the design of our headpieces to match the demand of today's brides. 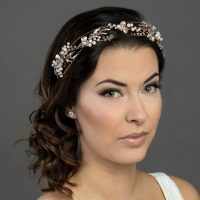 Most of our headpieces are built on a silver coloured frame, however many are also available in a gold coloured frame and a select few styles are offered in a platinum colour. All tiaras are sold and shipped in velvet-lined drawer boxes, which are ideal for storage and display purposes. 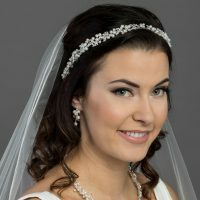 We produce our headpieces with the satisfaction of each bride in mind.